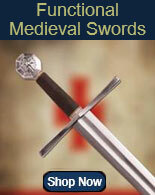 Navy Swords for sale include historical and modern issue Naval styles. 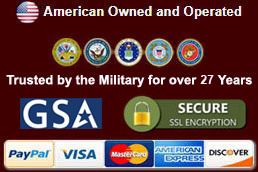 Historical Swords include Revolutionary and Civil War designs while modern military issue versions include the 1860 and CPO cutlass. 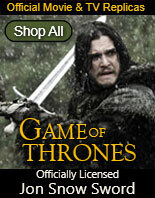 Buy all types of popular Navy Swords on sale now. 1860 US Navy Cutlass Swords for sale are 31 ½ inches. 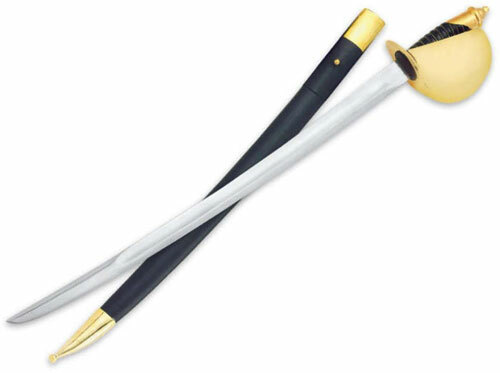 These swords are inspired by the real 1860 US Naval Cutlass that was used by the US Military. This modern version features an unsharpened 25 ½ inch high carbon steel blade. 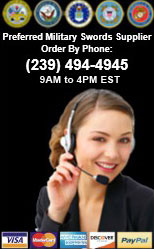 The black leather handle features a wire wrap and a large hand guard. The leather covered, cast metal scabbards feature shiny gold colored metal fittings. 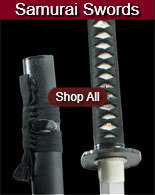 Buy the 1860 Navy Cutlass Swords for $79.99. US 1860 Naval Cutlass Swords for sale are a compact 31 ½ inches in all. Manufactured of British military spec steel, the US 1860 Naval Cutlass Swords have a hand forged blade and will flex over 20° and return to true. They have a 25 ½ inch blade and a genuine brass basket on the hand guard. These military swords are handmade and. They include a leather scabbard with a real leather frog. 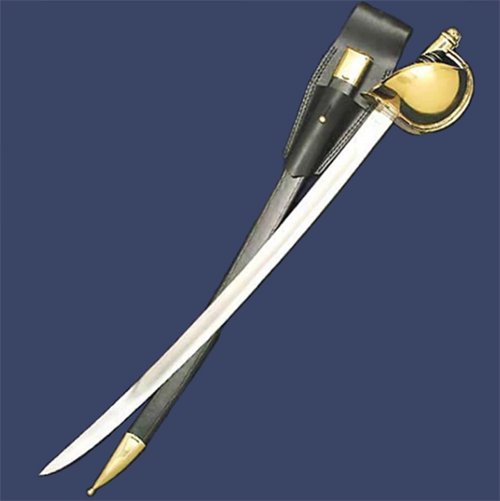 Buy the US 1860 Naval Cutlass Swords for $169.99.